Advent's 4214 (£250 inc. VAT) is the fourth netbook to be released in PC World's in-house range. But while it is stylish, usable and very well made, it is hard to recommend against Advent's own 3G-compatible 4213. The slim 1.3kg chassis is easy to slip into hand luggage. The combination of black and silver plastics make an eye-catching combination. The matt finish of the lid also reduces scratches or fingerprints. The small 3-cell battery provides 150 minutes of mobile use. This is average for a netbook, but vastly bettered by larger 6-cell batteries, so consider just how important mobility is to your needs. While the keyboard is responsive and firmly fixed, the keys are small. Larger handed typists may struggle and we had to pick at the keys to type smoothly and quickly. The large touchpad and mouse buttons are far more usable. The 10.2-inch screen provides sharp images and features a matt finish that successfully reduces reflections. It is also one of the brightest netbook panels we've seen. This makes it easy to view in all lighting conditions and ideal for travel use. 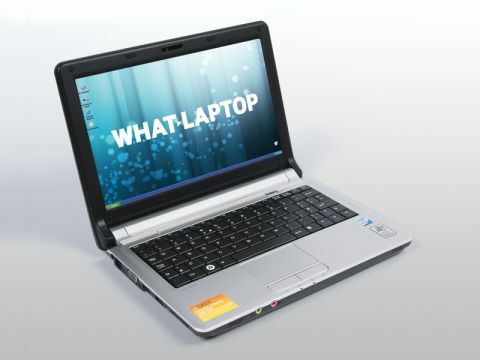 The base specification is the usual netbook fare, comprising an Intel 1.6GHz Atom processor and 1024MB of memory. You can expect basic performance for standard office use, browsing the internet and writing emails, but little more. The 160GB hard drive provides plenty of space for carrying work files and collections of music, photos and videos. An SD Card reader is also fitted. Wireless networking is limited to 802.11g Wi-Fi. As the Advent 4213 is similarly priced, yet features built-in 3G Mobile Broadband, you may find it a better choice for travel use; and this is what prevents the Advent 4214 from a higher accolade – it is a good netbook with many redeeming features, but the added 3G connectivity of its sibling makes it a better choice.